From Big Ten champion and in the College Football Playoff to one conference win in a 3-9 season, the drop off for Michigan State in 2016 was steep and unexpected heading into last fall. Predicting the future isn’t easy and, with that caveat, I’ll take a shot at what to expect from the Spartans in 2017. A good round up of any information on MSU football you might want or need. Round up of DetNews stories after the Western Game. If my research is right, Gary Patterson joins Mike Gundy, Bill Snyder, Nick Saban and Mark Dantonio as the only Power 5 coaches to win in every stadium in their conference. Hey LG, be sure to hop over to that dirty Michigan forum and participate in this weeks game thread. I might, I usually hang out at a different forum for games. Just been trying to put some fresher content in here. The Wolverines and their menacing defense would intimidate lots of opponents, but the Spartans are well past the point of intimidation with their rivals. Dantonio is 7-3 against Michigan, and most of the victories have been emphatic or dramatic. If the Spartans were to pull this one off, it’d go down as one of the most telling triumphs of his career. 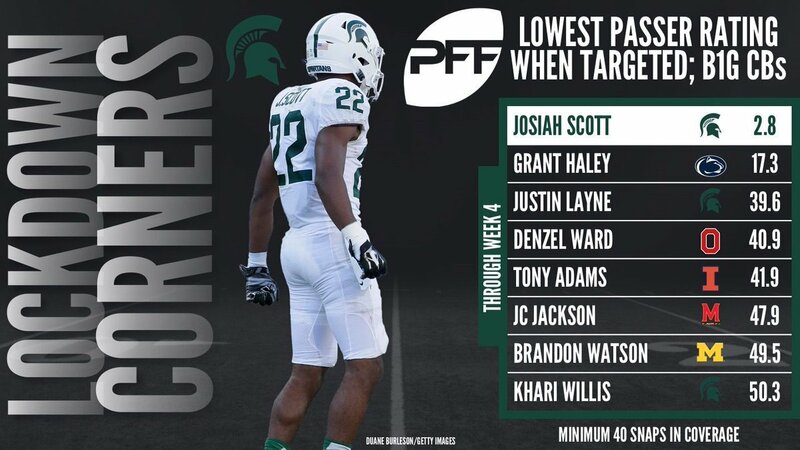 At first glance, the Spartans are too young and mistake-prone to prevail, especially under the lights in Michigan Stadium. But Dantonio is a masterful motivator, and the odds are never as long as they seem. In fact, consider this amazing statistic: Under Dantonio, Michigan State has beaten the point spread in nine of the 10 meetings. The lone exception was the first one in 2007, when the Wolverines were 3.5-point favorites and narrowly prevailed in East Lansing, 28-24, in the infamous Mike Hart “Little Brother” game. Since then, the Spartans have performed better than prognosticated in every encounter. Michigan’s two other victories were closer than expected — 12-10 in 2012 (as an 8.5-point favorite) and 32-23 last year (as a staggering 24.5-point favorite). Iowa game on repeat on FSD right now. For all of the recitations of 69-36-5, the series has been much closer than that in the modern era and especially after they started doing it as something close to a true home and home series. 37 of the 42 meetings prior to 1950 were in Ann Arbor, compare that when you hear present day fans complaining about coming to East Lansing twice in a row in 2013 & 2014. From 1950 to present the series is in Michigan's favor 36-30-2 and that's with Michigan still having a home field advantage of 37-31 over that time period. Obviously that's a much closer rivalry than the 33-6-3 record from 1898-1949 would indicate. Dantonio is an elite coach who runs an elite program. State should be the favorites against Michigan every year as long as he has coach. Michigan State Adds a New Chapter to Michigan's Rivalry Woes and a Plot Twist to the Big Ten. There was no need to swim or spin. Kenny Willekes had one thing in mind. A powerful burst, then a strong shove to send Michigan right tackle Juwann Bushell-Beatty stumbling 3 yards backward. There was John O’Korn. And Michigan State’s sophomore defensive end crawled into the middle and wrestled the Wolverines’ quarterback to the ground. It was Willekes’ first career sack. In his first taste of the rivalry. And he would get another in the second half of the Spartans’ 14-10 victory over the Wolverines. Shawn Windsor goes from doubting Dantonio to irrational exuberance.